Kevin graduated from Drexel University where he earned a Bachelors of Science in Commerce and Engineering. He then attended the Temple University School of Law where he graduated with honors in 1996. 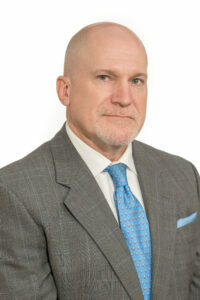 He is admitted to practice law in the state and federal courts of Pennsylvania, New Jersey, and New York. Kevin has tried more than 150 jury trials to verdict in the state and federal courts of Pennsylvania and New Jersey. He has tried serious injury cases involving fatalities, electrocution, traumatically induced deafness, traumatic brain injuries, and other serious orthopedic and neurologic injuries. Kevin’s cases primarily involve premises, motor vehicle, and DRAM shop liability claims. However, he also handles cases involving commercial disputes, the enforcement of employment agreements and covenants not to compete, and subrogation claims. Kevin was named a Pennsylvania Super Lawyers® Rising Star in 2005 and 2006 by Thomson Reuters Business. In the years 2009-2010 and 2012-2017 Kevin was named a Pennsylvania Super Lawyer®. In 2017 he was also named in the Top 100: 2017 Pennsylvania and the Top 100: 2017 Philadelphia Super Lawyers Lists®. Kevin was also selected as a 2018 Lawyer of Distinction. Kevin is a member of the Pennsylvania Association of Justice and the New Jersey Association of Justice. Kevin’s family is active in scouting and youth sports. Kevin is also a member of the Chester County Wolfe Tone Division 1 of the Ancient Order of Hiberians and a member of the Knights of Columbus, Monsignor Schuyler Council 1333. Kevin works in firm’s Philadelphia and West Chester offices.